Arriving at my friend's boarding house, I was browsing about the new store is whether Bernardi or not. And indeed Bernardi Family Outlet is just opening in Malang so I what I just see is completely right. Incidentally my frozen food stock runs out so it seems to stop there to buy something. Arriving at the Bernardi Family Outlet, as usual the first thing to do is parking the vehicle in its place. After parking my vehicle, I entered Bernardi Family Outlet. At that time my spare atmosphere was just me and a few people. But once entered Bernardi Family Outlet, my eyes immediately catch on Bernardi Japanese Cheese Cake that displayed in the cooling window. 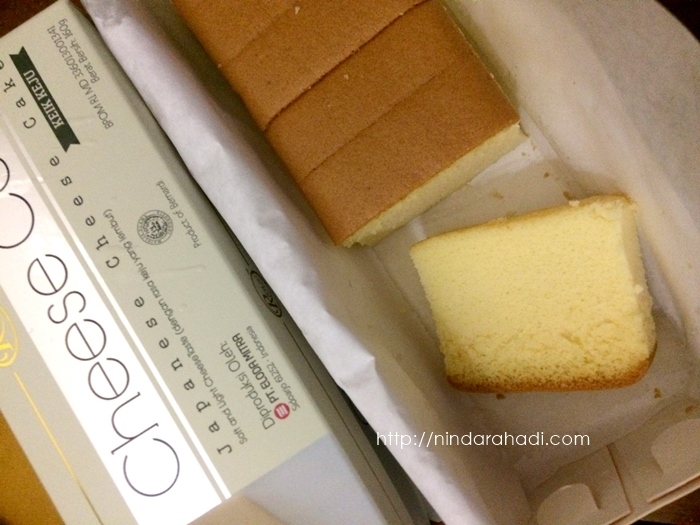 Waaaah it was the first time I saw the taste variant Japanese cheese cake Bernardi. Bernardi has several variants of Japanese cheese cake flavor like original, lemon cheese cake, chocolate cheese cake, pandanus, strawberry and others. Well in addition to providing many variants of taste, Bernardi also provides a choice of sizes for Japanese cheese cake that is large and small size. At that time because that time I feel a huge craving to cheese cake so I bought a small size about 28.5K IDR. Japanese cheese cake is already cut into pieces in the box so. So Japanese cheese cake is ready to eat. Super yummy! Yes it's a simple happiness of boarding house girl like me, eat good food that is not expensive at all hehehe. And this japanese cheese cake from Bernardi is really soft, if served in a cold state then the Japanese cheese cake will taste like ice cream. So for anyone in the area there is no Japanese cheese cake I recommend to buy Bernardi Japanese cheese cake because besides delicious also cheap and can be found easily in the nearest supermarket. Happy trying!